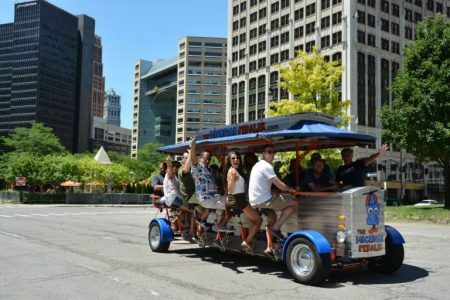 Veteran Detroit television reporter and anchorman Shawn Ley paid a visit to The Michigan Pedaler. 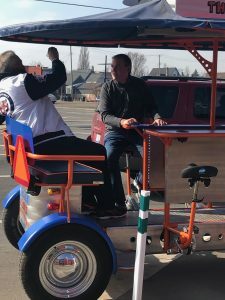 Shawn Ley on the bike conducting an interview. 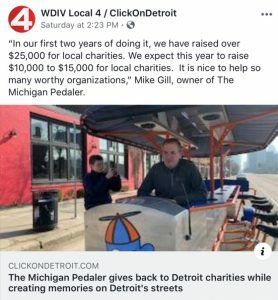 The Local 4, Emmy Award-winning newsman spoke with our owner, Mike Gill, asking him about Detroit’s favorite Party Bike, how it got started, as well as The Pedaler’s community involvement and its annual #Pedal4Charity event. 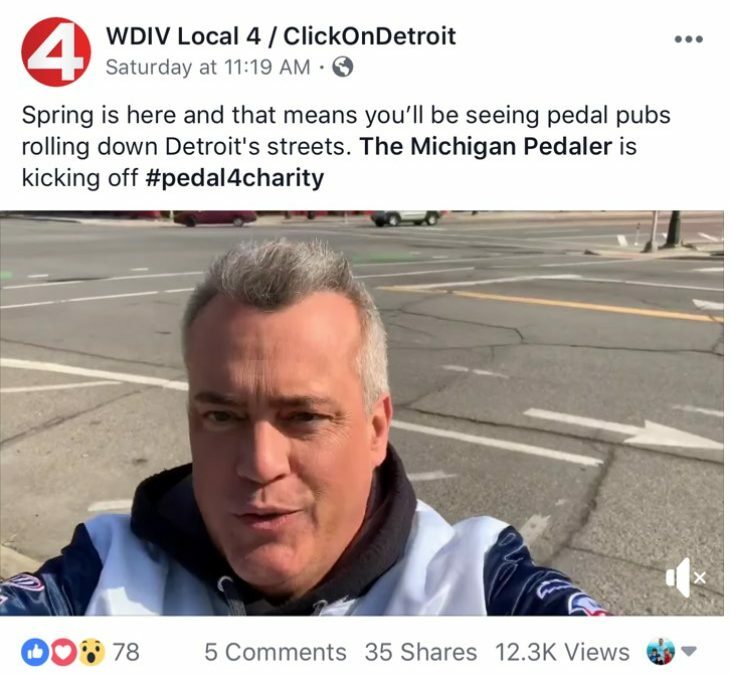 In just a short time, the post on WDIV’s Facebook site hit over 12,000 views. A subsequent story on the TV channel’s web presence, ClickOnDetroit.com, also received a lot of hits. Ley has been at WDIV since 2010 and worked there previously. 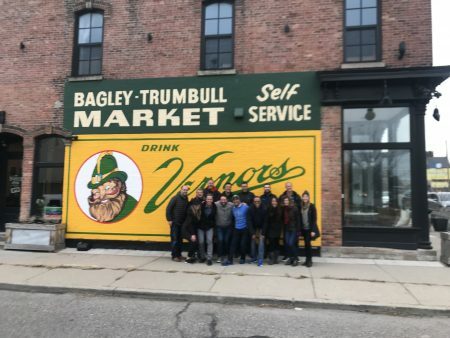 He has also worked in Phoenix, Cincinnati and his hometown of Dayton. To read the story and see the video, click here. We thank Shawn for stopping by and learning about our small business.